Its founders and supports have striven to make Orthodoxy and Yiddishkeit more open and welcoming to Jews of all backgrounds through communal activity and a non-judgmental attitude toward observance. The emphasis is on growth of knowledge and participation rather than closed-mindedness and frummer-than-thou attitudes. Lopatin has embodied this philosophy at ASBI and championed it in public and online. In a way it takes a page from Chabad, and is a throwback to older Orthodox congregations and those of the United Kingdom. When Edah, the Modern Orthodox alliance, folded in 2004, several of its key programs and assets, notably Saul Berman himself, were eventually folded into YCT, which as a smicha granting institution could accomplish change that a quasi-denominational entity could not. That was an important moment for liberal Modern Orthodoxy, and while it may have seemed that Edah’s demise showed MO’s frailty, the decision to put energy into a Yeshiva has proved tremendously successful in strengthening the notion of Open Orthodoxy. Dozens of its graduates now lead or serve congregations, others serve day schools and Hillels and notably started Uri L’Tzedek. Now boasting over 50 graduates, YCT has reached a watershed moment and the institution is picking up steam. Most seminaries are chartered by a denomination as a means to self-perpetuate a movement as their Rabbis carry a set of specific theological philosophies forth as they serve or build their congregations. YCT appears to be doing so, however, has a more peculiar bent as well. As an Orthodox institution it is already both within the body of Orthodoxy (Rabbinic Council of America refusal to accept its graduates not withstanding) as well as serving a Jewish community beyond denominational boundaries and definitions. Broadening the tent of Orthodoxy and welcoming non-Orthodox Jews into its embrace in a non-judgmental way is good for the Jews. That is what Rabbi Asher Lopatin has championed in Chicago for 18 years, rebuilding a once-dying shul into a dynamic and respected community of over 400 families that draws upwards of 300 people on any given Shabbat in a neighborhood not known as a bastion of Orthodoxy. 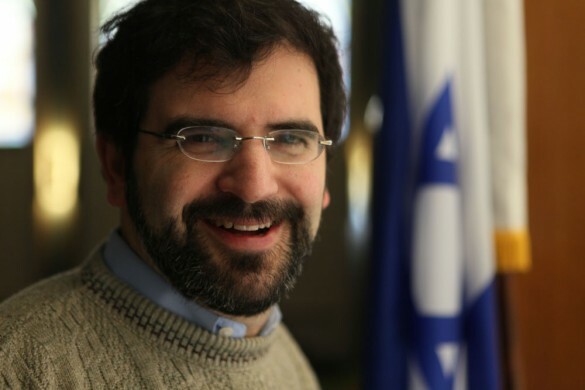 Lopatin has had a long relationship with YCT and Avi Weiss, whose son Dov was an active member of ASBI and close family friend while earning his PhD at University of Chicago and later while serving as YCT’s Recruiting Director. Dov and another congregant, Barry Wimpfheimer, were among the first YCT instructors when it was still a program for Columbia and Barnard undergrads housed at Ramath Orah. Lopatin has sent several students to YCT, hosted many students as Rabbinic interns and received an honorary degree from YCT. Having been named a Newsweek Top 25 Rabbi and gained national attention for his stand on Foie Gras and as Rabbi to Rahm, he has built the sort of national profile that could work to the advantage of an institution like YCT. And YCT is, by virtue of the expanding network of shuls and organizations hiring its graduates, implementing the vision of bringing Orthodoxy to more communities through an open outlook, earnest outreach and engaging education. That’s a vision shared by Lopatin and even critics of YCT are applauding the hire. While he had already announced his impending departure to his congregation last month, details on his appointment were speculative until news circulated last week, which was then confirmed by Avi Weiss and an email by Lopatin himself to his congregants. The future for YCT should be exciting, and with Lopatin at the helm serving on a national level, for for its start to continue to rise. Mazal Tov to Rabbi Lopatin and his family. Previous PostYou're Welcome, People Who Might Get Sexually Assaulted. Apparently, the “vile hatred” of the Haredim for liberal, secular and Modern Orthodox Jews is of no consequence to you. Israel will be bankrupt within a generation unless it gets the majority of Haredim off the social service rolls – which won’t happen, because they vote as a bloc and conservative politicians like Netanyahu have become dependent upon their support. Lopatin’s idea isn’t a bad one, but of course, it won’t be done, either.